Abu Dhabi meetings with a unique outlook. 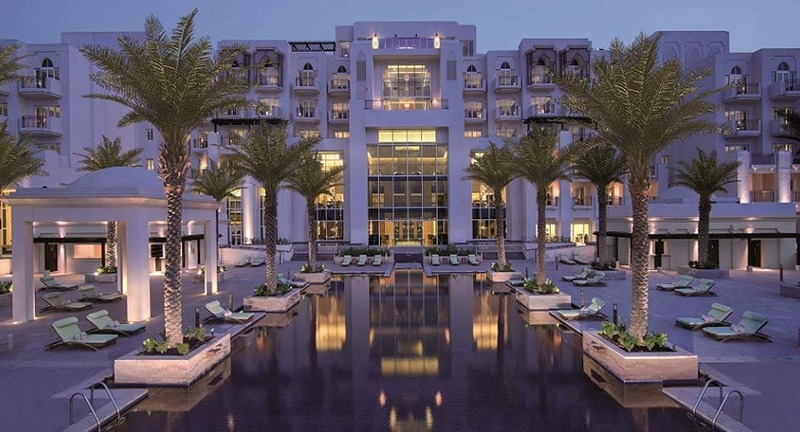 With our unique setting of skyscrapers on one side and an expanse of mangroves on the other, Eastern Mangroves, our business hotel in Abu Dhabi, offers a refreshing take on company retreats. A dedicated conference centre - with private entrance and valet parking - boasts an impressive range of event spaces catering for intimate meetings and opulent events alike. Perfect every detail with your event planner, from technology and catering to decor and entertainment. Double-height ceilings with crystal chandeliers, mashrabiya arches, and regal tones of crimson and gold provide an elegant backdrop to your distinguished event. The ballroom can be divided into smaller spaces to suit your requirements. Double-height ceilings with crystal chandeliers, mashrabiya arches, and regal tones of crimson and gold provide an elegant backdrop to your distinguished event. The pre-function area is flooded with natural light through floor-to-ceiling windows, and a private entrance ensures easy access. Perfect for breakout sessions, refreshments, and post-meeting cocktails. Make the most of our stunning waterfront setting, with al fresco banqueting and cocktails. A traditional Emirati set-up, with all the latest in technology. Enjoy soothing mangrove views and natural light, as well as access to an al fresco terrace. 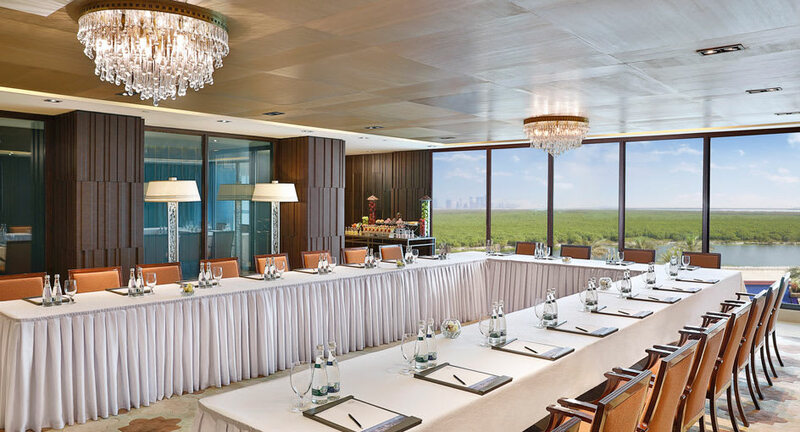 A stunning setting for meetings of distinction, with 6th floor views of the mangroves. An intimate space for boardroom meetings, with access to a pre-function area on the second floor. A slightly larger space, perfect for group brainstorms or breakout sessions. A full-sized boardroom for up to 20 executives.